Hands Together LUDLOW started as a local volunteer and networking organisation, and that is still core to our values. But as the work has developed it has become obvious that a more in-depth approach has been required to tackle some of the issues encountered in our community. 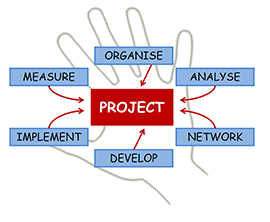 A number of Project Groups have now been established to investigate specific issues and implement actions where possible. In line with the ethos of Hands Together LUDLOW these groups always partner with other organisations as appropriate to avoid duplication and enlist the necessary expertise. Please find details of the current project groups on the drop-down menu. We hope to start new project groups in the future, covering such issues as Money Advice, Young People, and Transport. If you have skills and experience in these areas we would be pleased to hear from you.